Thanks for all that you do for us duffers. I would like to thank you for such a wonderful program. I have referred many of my friendsto your golf package and we use it quite faithfully.
. Again, Thanks and keep up the Great work you do for us golfers and giving us a way to golf more often and at other courses. Thank you for your efforts on going the extra mile to remedy the situation caused by the very unprofessional staff at SPCC. I however am not going to return my card this year for a replacement as I normally don’t get to all the courses I select most years anyway. You have shown once again that you run a great business and many golfers appreciate what you do. Thanks again. The package for my husband, Daniel Dunn, arrived today. Thank you for your prompt attention to this matter. Excellent customer service! Thanks for all you do!!! These packages are very popular – sometimes we have to stand in line at the pro shops in order to get our place on the first tee. Lots of members out there. As the season comes to an end in Wisconsin, I would like to thank you for the hole in one prize package you sent me. The variety was unexpected and it was fun to sort thru the items. You made this event very special! Thanks for you all do to promote golf. This was my 2nd year with our group with the Wisconsin Classic Golf Tour, and it has been as wonderful experience both years. We are already making plans and picking courses for next year. You have made it very easy and enjoyable. Thank you! If not for the Wisconsin Classic Golf Tour card I would not be able to play some of the finer courses I play every year. Thanks so much for this service. It is really great now that I am retired. I will not be able to do any ratings this year due to knee surgery I had in early June. I was unable to play before the surgery and did not recover in time to do any serious golf this year. I have now had the package since 2007. My buddies enjoy all the use we get out of it. I was able to rate over 30 places in 2011 & 2012. My friends kept me updated on the savings this year. Look forward to buying the Package again in 2014 and plan to get good use out of it. Keep up the good work. I have joined the WCGT for a number of years now and really enjoy it. Thanks for providing excellent golf for all of us retirees. Thanks for running the program. We’ve been members for a number of years now and plan on continuing. Thank you very much! Really appreciate the quick reply and great service. My card has already paid for itself this year… what a deal !! Thanks! We look forward to a great summer of golf. This is far better than the “Green Card”. Thank you again for offering the BEST value card around. WE LOVE IT!! I appreciate the discount and of course the good work you do to make golfing an affordable addiction! I would like to start by saying I love your golf packages. I got my first one last year and I loved it. It was like having a membership at 6 courses. Thanks again and I love this program. Thanks again for all you do for making our golf a little less expensive. We totally enjoy using the cards. Thank you for the prize package it was very nice. Thanks for your time and by the way I love being a member of your program. wanted to be sure to say THANKS again for providing these great discounts! Our group has used them a bunch, like always, still plan to get some more in as long as everyone is open (riverside this afternoon), and enjoyed them all. Hope all our 2012 picks come back again in 2013. See you at the golf show! Thanks for all your efforts. We love being members and play a lot more golf than we normally would because of this program. I have enjoyed being a Wisconsin Classic Golf Tour member for several years and look forward to continued membership in this fine organization. Thank you for such a prompt reply. I have successfully ordered a golf package. This was the first time me and my friends bought the Wisconsin Classic Golf Tour card. I see us buying it from now on. We had a great time and continue to love the card. Thanks for making it all happen. Thanks for the quick response, it is appreciated. I definitely appreciate the deal you were able to give us, and hope we can take advantage of the discounts over the summer. Thank you! Thank you so much for your generous donation to our EWGA Fox Cities – Green Bay Spring Kickoff on April 14. We appreciate your suppor of our Chapter. Thank you for honoring my hole in one, I received your box and appreciate it very much. Hi – I will be mailing the package selection for Jim today – he has chosen the vacation package. Thanks again for the early bird special – with having the surgery last year hopefully he will be able to use his selections more this year – thanks and have a great season. Thanks for doing this program. It is lots of fun! I am pleased that you appreciate the work I’ve done. Likewise, I appreciate your honesty, prompt payment and kindheartedness. I genuinely enjoy working for you. I was a new customer in 2011. I purchased 5 cards at the Milwaukee Golf Show – one for myself and 4 others for family members. I really enjoyed using your card. It’s a damn good card, better than others I have used. I recommend it to all the golfers I meet. The prize package was so cool really was fun to receive and I appreciate the sponsors. I was totally pleased with my CGT membership and hope to purchase another membership for 2012. Every course I used was great as a first time participant of this deal.Thanks. This is my fifth year with the Wisconsin Classic Golf Tour and I really have enjoyed the rounds of golf I have played. Our group (which is up to 12 players) normally plays every Tuesday and Thursday. Once in a while we also get in an extra round like we did yesterday. Thank you for your donation to the Land O’ Lakes golf outing. Your contributions helped make our programs possible and our golf outing a success. Thank you very much for your quick response. I appreciate your working with me. I’m looking forward to making the most of my golf package over the next couple of months, and obviously have nothing but good things to say about the customer service from you! Thank you so much. I appreciate your consideration and generosity. I will certainly tell my friends that this is a first class organization. Thank you. I just received my packet last night and I am really looking forward to using it. Great site, great deals, great work. Easy checkout. I really do appreciate it. After my friends told me that they received theirs, I knew something was up. Thank you so much for your help in regards to this. We received the replacement card. Thanks for the “prompt” service. Thank you and keep up the great work. We enjoy using our memberships quite often during the course of the year. Thank you for providing great deals on golf packages! I have been a member for some time now and my girlfreind purchased a package last year also. We really appreicate what you do for us. I have been a member for a number of years. I love your program and have told many others about it. It is the best deal for golfers and I love using your program. Thank you so much-you are so quick and dependable every year. I just want to thank you once again for the great work you do. I love this program and have used it often over the years. I look at golf as therapy and because of the great deals I get with your program, I think of you as my therapist! By the way, you offer the best deal in golf. Thanks again for all you do. See you at the golf show. I play, using the Wisconsin Classic Golf Tour card, with a group of players who live throughout the state. We meet in the middle every other week and play 36 holes. The best thing about the card, besides the savings, is the chance to play at places we would never otherwise play. I have been a member for the past 3 years (Grand Tour Package Member) and do enjoy the advantages of this program. Thanks for helping us loyal veterans that rely so heavily on your great deals to golf as much as financially possible each summer. We continue to think you are a great guy and your business is top notch! I enjoy playing many different golf courses and can’t say enough good things about my Wisconsin Classic Golf Tour card/package. Nice program and website you have set up! I’ll definitely be signing up for one of the other packages next year. This is a great deal for golfers! I have enjoyed the golf savings and the opportunity to play many different golf courses. Thanks again for this great offer. Thank you for all you do in putting this program together. This will be my third season ordering a golf package and really appreciate the discounts and the opportunity to play a lot of different courses. Keep up the good work! Our group has really enjoyed the courses that you have to offer. Thanks for all the work you must put into this program. It is greatly appreciated. I love this service! My buddies and I are able to golf many more courses than we would otherwise be able to afford. My order went through this time. Thanks for your help. You have a great program here! I would like you to mail your brochure to the 4 friends listed below. I love your packages and look forward to receiving them each year! We were quite pleased with the value we received from the courses we golfed. I used all 10 of the courses I had on my card. Thanks for all you do to make this happen! Wow, thanks for getting back to me so quickly. I am really impressed with these golf packages. I am hooked and will continue in the future. Thanks! We have enjoyed using your discount card for a number of years now, and hope to expand the package in a few years when we retire. These cards are the best thing ever! We have been able to golf at so many different places at a very reasonable cost. I love this program. In the past we always purchased the Cancer Card but this is so much better. The quality of courses and the fact that we can choose the ones we want to play really makes this an outstanding program. I looked at all the great courses like Troy Burne, Giants Ridge, Grand View Lodge and many others that you have and was totally impressed. In fact I checked out all the great WI courses and next year am going to take a 7 day vacation and play them. Thank you very much for the status report, it’s great to know that companies like yours care enough to communicate. This is the 4th or 5th year that myself and two friends have participated and we just love our golf packages. They allow us the opportunity to play courses that we may not be able to otherwise. Keep up the good work. I recently ordered my golf package for the 6th year and I want to say that I’m very happy you’re going strong in this economy. We all need to still be able to enjoy the activities we hold dear. Thank you for all your efforts in continuing to offer such a wonderful product. I just placed my order. Thank you for your quick response. We sure appreciate the opportunity each summer to travel a bit in Wisconsin and play golf courses at a discount. Thanks again for this great deal! My husband and I have been members over the past 3 years. Thank you for all the fun golfing over the past few years! Thanks for your help last September with Skye GC and Trout Lake. We had a great time. The arrangements were taken care of as you said they would be. If you would please send me 3 brochures for friends of mine (new customers), I’ll be sure they get them. Thank you for your help. A very happy returning customer. The new course maps that you have on the web, featuring the location flags and pop up information, is extremely slick. Great work to you and your devloper! We are grateful for the items you provide to make our “live” and “silent” auction a success. Thank you for your generous donation! Last year was my first year involved with your company and it was on of my better decisions. We do get alot of golfers using your Wisconsin Classic Golf Tour card. I convinced 3 of my friends to buy a card last season and we had an absolute ball going to different courses. They are all in for 2009 also. We might be adding another 4 to 6 people for 2009. It’s a wonderful way to get to other courses and at fantastic prices! I would like to express my appreciation for the excellent product you offer. I have purchased many other golf discount cards in the past and was disappointed with almost all of them. The features of your offering that are of the most benefit to me are: You allow me to choose the courses that I think I will be able to play! Yours is the only card that clearly tells you which cards have restrictions and when their offers are available. I was pleasantly surprised to receive the gifts for scoring a hole in one. Thanks very much! Ive really enjoyed your product. There are many courses I never would have played without it. It is nice to be able to afford to golf at so many wonderful courses throughout the state! You and your staff do a splendid job putting these packages together. Keep up the good work. Its definitely the best program out there for golfers. The benefit of being a member is that it has allowed us to play at courses we would not normally play. I have been a WCGT member for two years, an I appreciate the opportunity to play these great courses at a reduced rate. You are truly running a first class golf program! It is a great way for my wife and I to play great golf courses together without paying the high costs. Thanks for putting this great golf package together once againour crew looks forward to making our golf trips again in 2006. Thank you for bringing a way for us to play many different courses without breaking our bank accounts. Keep up the great work. Sure have enjoyed the 20 course package tour of golf courses I have. I want to congratulate you on the program you have put together. I like the fact that we can play some courses multiple times per season. I can not thank you enough for the wonderful prizes that I received for my Eagle this summer. Thank you for sending me all of the prizes for my recent Eagle. I had no idea I would receive that much stuff. My husband says thanks for the wonderful package full of merchandise for his Eagle at Northwood GC… What a great program. Thank you very much for providing me with another Wisconsin Classic Golf Tour Card, I really appreciate it. I continue to look forward to playing many more fine courses in our great state. Thanks again for offering such a great golfing experience, my buddies and I appreciate it greatly. We really enjoy using the cards as it has caused us to try many of the wonderful courses we have throughout the state of Wisconsin. We now have a group of 8 people who travel on weekends to play. Thank you for offering a program that allows us to be members at one course but yet try courses at a more reasonable price. I joined your golf promotion last year and plan on joining again next year. It is not unusual for our group to have 3 foursomes when we go out. Congratulations on another great year. We really enjoy playing some great courses all year at some fantastic discounts. Thank you for putting together Wisconsin Golf Packages. This was my first year and I used my package often and saved money playing great courses. I will definitely expand my package next year. Thanks for the golf package program. This program makes golf very affordable. The courses are very good and we have not had any problems using your program. Several of us have had your card for a couple of years and think it’s just great! We will renew and get a few more buddies to get in on this good deal. We have another guy who plays with us now and he’s going to get the package. He couldn’t believe the savings we’re getting!!! It’s a great deal. As usual you have an excellent selection of courses. You do a great service for us Wisconsin golfers and it is greatly appreciated. Keep up the good work. I played many different course this year, thanks to your golf package. I just wanted to thank you for the Wisconsin Classic Golf Tour. People we meet golfing just can’t believe you can get that big a discount at these top caliber of courses. Also wanted to thank you for how kind your treatment of me has been. I imagine every member feels the same. Thanks for running this program… I have played 105 rounds in Wisconsin this year because of it. This is my third year as a member of your organization. I really do enjoy it because of the variety of courses and attractive pricing that is offered. Rest assured I will be joining again next year. Keep up the good work. My dad and I have enjoyed a great number of Saturdays together using the WCGT card over the past few years. It’s fun to play different courses and the card is a very economical way to play golf. You have a great website working… it was nice and easy to understand. We’ve told everyone about your packages. Really a good program especially compared to things like the Bucky Book and other promotions. Thank you for being on top of our order. I was expecting our packets at the end of the week… but the two-day service is awesome. What a deal… the card gets us to try courses we might not ever get to otherwise. Each year your program gets bigger and better… thanks for your hard work and continuous improvement of the Wisconsin Classic Golf Tour. Thank you for fixing my membership list at no cost. God Bless you. Have a great day. Enjoying the card again this year. Played 2 new courses already and seven rounds total even though it has been cold (even played one round in the snow)! I just sent in my order for my card along with three others for my golfing partners. I think that you have the best deal around when it comes to something like this and I sure promote it to all the golfers I know. If you’re going to golf you cannot afford to be without your card. We have enjoyed the card and have given the information to several people who come to the Gulf Shores from Wisconsin and they are all very interested in getting cards. The four of us have had the WCGT golf package since your inception. Some of us are in our 80’s and we don’t play as much but we still play..many thanks. We are so looking forward to the golf season. Great job on the great new courses added this year. This is a great program. My wife and I love the opportunity to play different courses at reduce rates. Thanks for making this available in Wisconsin. I have to say “great work” on the packages. This is my second year with the Grand Tour Package and 3rd overall (One year I bought the Par package). Thanks for all your hard work making golf more affordable for all of us. My friend, Dave Brown (Who also gets the Grand Tour Package) and I like to tour the state and play different courses and we have founds many hidden gems. I would like to thank you for the work you and your staff do for us golfers. You provide us an opportunity to play some “premium” golf courses. There is alot of top quality golf in our state. I would hope that others living outside of Wisconsin know it and vacation here sometime, just to play golf. Maybe your packages will encourage them to do so. Thank you for the very nice Eagle prize package. I did not expect such a nice arrangement of prizes. You have earned and even more loyal customer, thank you. Your generous gift will enable FCA to build their ministry. We want you to know how thankful we are. Thanks for a great season and your fine and informative newsletters. Kerry and I have used several plays on our vacation package and are very pleased with the courses and the savings. Having played at Lawsonia and Trout Lake we saved over $100. Those 2 rounds and the savings associated with them already make our package a great value. As a member of the Wisconsin Classic Golf Tour, I am enjoying my tour of great golf courses. The courses have been wonderful and the deals are unbeatable. I just found you website as I was searching the internet for a trip I am planning to Wisconsin this summer, and by the way it is awesome. I purchased a package online and it was so easy. I am looking forward to playing some great golf courses while on vacation in Wisconsin. Thank you for your support of the Immanuel Lutheran auction in support of kids. I have seen your materials before, and I’m looking forward to enjoying the Wisconsin Classic Golf Tour this summer. My brother and I each get your vacation package each year and play all the courses on our package. It’s a great value. At least a dozen of my golfing friends have bought the package and are also hooked on it. Keep up the good work! Your package is the best! We’ve been charter members and as a result have enjoyed playing many courses we otherwise wouldn’t have given much thought about. We annually make it a point to play at least 10 courses we’ve never played before, all thanks to your marketing package. Thanks! I used the golf discount card last season for the first time and really like your service. I am looking forward to using the card in Northern Wisconsin this summer. I still can’t get over what a great marketing venture this is. It certainly allows people to experience the joy of playing courses they would normally never consider playing throughout the state at reasonable prices. I’ve been a member since the inception and will be one forever. Additionally, thank you for the “Eagle” prizes I recently recieved, another great perk of being a member. The Wisconsin Classic Golf still remains the best golf value out there! We have a group of four couples that golf all the time and we have been playing together for at least 10 years. We do weekend golf outings all over. We have been members of the Wisconsin Classic Golf Tour for 4 or 5 years now and think it is great. We are all looking forward to retirement so we can get the bigger packages and golf more neat courses. If you love golf, you would have to be borderline crazy to not jump on this fantastic saving opportunity. Thanks for giving me the opportunity to play such wonderful courses. And, thank you for saving me such an incredible amount of money…now I can buy some new clubs! You should know how much the “golf group” loves “the card” as we refer to it. I can’t begin to think of all the money we saved by getting the discounts offered by your company. Please keep it going! I know that you have a loyal following and we are always recruiting and telling people who don’t know about your program. Thanks so much for all the hard work you do to make it work. Eight of us purchased your card and have been golfing every Friday. We really enjoy the benefits of the golf package. Thank you again. Thanks so much for the WCGT packages you offer. My husband and I have used your product for years along with several other couples. I believe golfing courses other than your home course helps you become a better golfer and keeps golf fun and challenging. We look forward to adding new courses to our list each year. Great website! Thanks for all the effort you put into this. I could never golf as much as I do if it wasn’t for this program. The group that I play with are so pleased with the Wisconsin Classic Golf Tour that we will always be a part of it. Thanks very much for everything. Once again you did a great job and I sure like the newsletters. I hope you had a great year and don’t forget me when you send out next years program. We love using the golf package. Have played courses we never would have dreamed of playing. Thanks for the great job. I want to thank you for offering the Wisconsin Classic Golf Tour packages. I definitely got my use out of it. I golfed 104 times and many were on the WCGT card. I played the following courses for the first time: Indianhead, Coachman’s Golf Resort, Trappers Turn, Deer Valley, Trapp River, Lake Breeze, Waushara CC, White Lake, The Oaks and Bass Lake. I really enjoyed playing all these new courses. Next year I want to play Washington County and the courses in the Lake Geneva area. I will surely play Tappers Turn, Deer Valley, The Oaks and Bass Lake again. As a customer of yours I want to say that the Wisconsin Classic Golf Tour card is the best deal I and my golfing buddies have found for discount golf! I have referred you packages to other golfers and will continue to do so in the future as well as telling them “it is a great value”. Thanks for your help once again. We enjoy doing business with you. Thanks for putting together such a great list of courses to choose from. I just ordered my Birdie Package for 2007. Thanks for your help. I just received information on your packages. Your web site is excellent! I am in Minnesota and play several of the courses on the card so it would definitely have value . Dear Sir…thanks again for this great golf deal! Thanks again for presenting another great golf package this year. Anything to promote the great game of golf! Keep up the excellent effort. First off, once again a great package! Thank you for al your work in making golf less expensive for all of us. Thanks for your help and the great golf packages. Thank you for your help! This is an awesome program of which I will be a member for life! As usual the Grand Tour Package looks fantastic with many great courses to choose from. My buddy, Dan Brown, and myself will give it our best effort to play as many different courses as possible this season. This golf package provides golfers the best bang for the buck! Anyone that enjoys playing numerous courses in one golf season would love this package. The package includes every level of course imaginable, from easy to more difficult. This is my 3rd year with the Grand Tour Package and I look forward to playing over 20 courses. I golf with two other guys that also bought the package. We have been to four courses so far. It’s a great program and the feeling we get from the courses is that they are happy we are there. They are very welcoming! We are having a ball and looking to have a great summer of golf. Just wanted to let you know that I’ve sent a couple of new members you way. The Bersteins and Ms Daane; I think they got tired of my telling them how great your program was and when we played together, we always paid far less than they did! I know they will enjoy the savings as well as the vast number of courses you now offer. Thanks again for a great job! I purchased the Wisconsin Grand Tour and selected Illinois as part of the pre-season special. I thought this was a good deal then and now it is even better. Wolf Hollow is an easy 1 hour plus trip from Madison. The Wisconsin Classic Golf price of $25 makes this a good road trip value. I was surprised upon returning Saturday afternoon to find a package containing prizes from the eagle I scored on Tuesday! Surprised at the quick response and the quantity and quality of the prizes. Thank you! We are glad to have House on the Rock Resort back on the Wisconsin Classic Golf Tour. We all put it on our card this year! Thank you! I ordered my package online and receive it in less than a week. I only ordered the trial package but it looks like I am definitely going to order the Grand Tour Package next year! Wisconsin Classic Golf Card members Charlie Schwab, Richard Strauman, Bill Crowley and I took a northern trip and played nine 18-hole rounds. We had a great time and I scored 3 eagles. (Luck Golf Course, Amery Golf Club and Lake Wissota Golf Club) I thank the Wisconsin Classic Golf Tour for these eagles because I never had played any of these courses and now I play them every year. Thanks! This is my second year on the Wisconsin Classic Golf Tour. It is fantastic! The golf outing that you sponsor for the Al Vandertie Scholarship Fund is awesome, the best golf prizes of any outing I’ve ever played. We enjoy the players you send us and look forward to seeing your clients next year. This year two of my friends and I retired. For the first time we were able to play all of the courses on our package. We have had a lot of fun Thank you for the Wisconsin Classic Golf Tour, it has been great! You have a great program going! Thank you! I certainly enjoy the membership. Playing different courses throughout the summer has become the highlight of the week for the entire golfing crew. All the courses are quality courses too. You can count on my continued support. This deal is a no brainer. Can’t be beat if you love to golf. Thanks as always. Thank you for making golf more affordable! We sure enjoyed having our Wisconsin Classic Golf Tour golf packages last year. We got to play some really great golf. It encouraged us to go and play other places. Thanks for the program. We have such a great time visiting all the different courses. Thank you for your prompt attention to my question regarding golf course evaluation discount vouchure. I can’t wait to get out on the course! Thanks again for the outstanding website and all your new courses. You have made enormous improvements and it just keeps getting better! This is the 2nd year I have orderd your product and I enjoyed it very much last year. Thanks for rushing the information out to us in Florida. We are really excited to play new courses. I have enjoyed this program for a few years. I have enjoyed it so much that I want to share it with others! I ordered the 10 course package with all Illinois courses. Last year our fousome all had cards and we loved the program. Thanks for all you are doing. We look forward to playing some new courses in 2008. Thanks for the prompt reply. You’re a pleasure to deal with. Now if you could only cure my slice! Have a good day. Thank you so much for your generous donation of the 10-Course Vacation Package gift certificate for out Annual Kiwanis Golf Outing on May 19! Due to rupturing my Achilles heal back in February, I most likely will not be able to golf until the end of September this year. Thank you for your offer to send me a check to refund my 2008 Wisconsin Classic Golf Tour membership this year. I look forward to being a Wisconsin Classic Golf Tour member in 2009. You run a great program for golfers! Thank you so much for the prompt service of correcting the mistake on my husband’s card. We really love your program and have been members for quite a few years. We wouldn’t keep signing up if we didn’t love it so much! Thank you for putting this program together. I would have never considered playing some of these courses without these discounts. Yes, please send me a replacement package for the one I lost. I think your service is just great. Thanks for such a quick reply! Thanks for all your help with the matter of my lost golf package. I really appreciate it. Thank you for your service. I appreciate your business and am looking forward to a great week of golf in the Hayward area. I’ve enjoyed being a customer for 3 years. Your cards are a very popular investment for many of my golfing friends. We always enjoy playing Lake Arrowhead because the staff is always friendly and helpful and the course is great and fun to play. 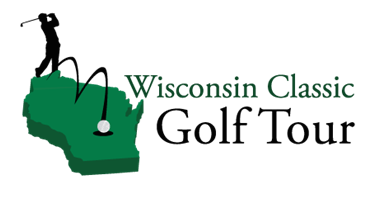 My wife and I have been long time members of the Wisconsin Classic Golf Tour and always enjoy the variety of courses offered and appreciate the effort on your part to make these packages available. We sure are enjoying paying all the courses. With the rain they are in very nice condition. We are looking forward to playing in Wisconsin Dells after Labor Day and we want to play the new course – Wild Rock. Thanks for arranging the great rates. Our weekend was filled with great fellowship and some very good golf scores. None of this would have been possible without generous support from people like yourself. Many thanks for the donation of a golf package that we used as a door prize. Your help in making out 2008 tournament a big success iis very, very much appreciated. Thanks again for your most generous support! Year after year, you continue to make Mr. Tom’s Golf Outing a more successful event. This was our 6th annual fund raiser for the Boscobel Area Health Care Foundation and we could not do it without the support of people like you. I want to thank you for this tour. We purchase a package every year. We save so much money it almost feels like we are stealing! Your program generated the most customers for us by far. Thanks and looking forward to a great 2009! I want to compliment you on your program. We have a group of 8 people who have purchased a package for each of the last 5 years. We love the program and have not had a problem at any of the courses. The savings are great and this program allows us to play many different courses. We all appreciate your hard work at providing such a great program! Another great golf year. Looking forward to renewing for 2009 and hopefully seeing you at the Madison Golf Show. A note to tell you what a great time we had planning and enjoying our first ever golf trip to Minnesota. We planned it around courses on the Grand Tour It was a grand experience. My wife and I were able to play SentryWorld for a total of $71. I probably would not have played it if I had to pay full price for both of us. Thanks for doing this. It is a real blessing for a golfer.